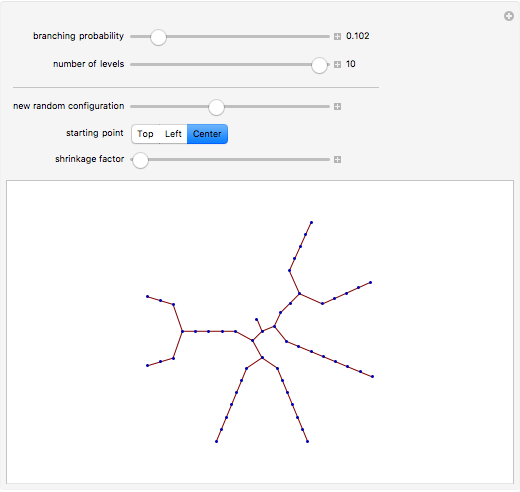 Starting from a point at the center, each branch splits into two with a certain probability. 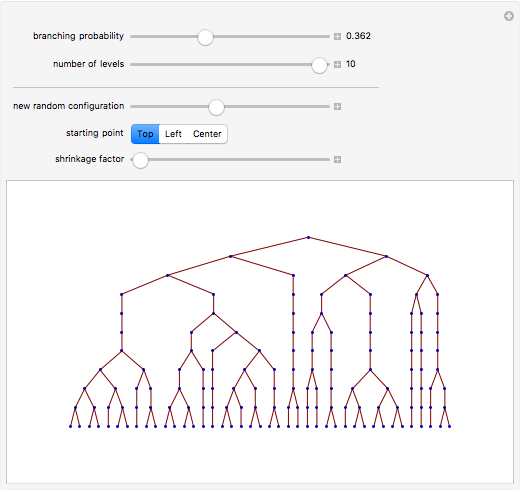 Branching processes like this one are common models in many areas. 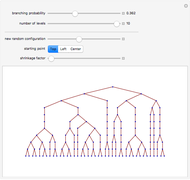 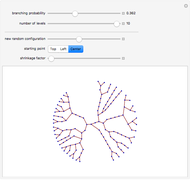 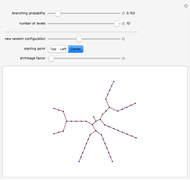 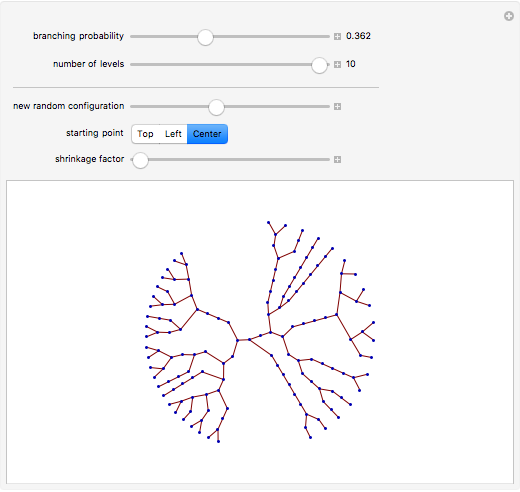 Stephen Wolfram "Random Branching Process"